You can book ferries from Mokpo to Jeju with AFerry. The Mokpo ferry route is a useful connection between mainland South Korea and Jeju island. See below for the latest schedules and use the booking form on the left to book your Mokpo ferry with AFerry. Travelling with Seaworld Express, you will find a range of facilities for your entertainment and relaxation. Try the onboard game room or the singing room for entertainment. If you want to refuel, you will enjoy any of the onboard bars & restaurants. So, book your Mokpo ferry simply and securely with AFerry! 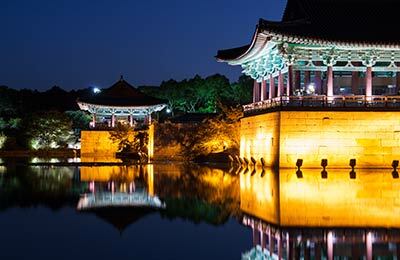 If you are interested in seeing all that Mokpo has to offer, the city tour is for you. The tour takes you all over town, stopping at popular sights and landmarks for you to explore the area by foot. Popular attractions include the National Maritime Museum, the Natural History Museum, the Ceramic Livingware Museum, and the Culture Arts Center. Mokpo is located in the southwestern coastal region of South Korea. 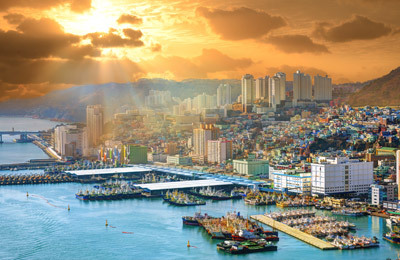 Mokpo may be small, but it is an important trading port, connecting the peninsula to the island of Jeju. Ferries from Mokpo can be booked easily through AFerry. From Mokpo Airport, there is a bus that runs to Mokpo Train Station. Buses and taxis run from the train station to the ferry port which takes around 5 minutes, or you can take a 20 minute walk. From Mokpo Bus Terminal, take Bus No.1. This will take around half an hour to reach the ferry port. As the routes from Mokpo are domestic, the check-in process is quite simple. Foot passengers are asked to arrive at the passenger terminal at least 30 minutes before departure. Passengers travelling with vehicles are asked to arrive at the appropriate departure gate at least 2-3 hours before departure for ticket issuance and boarding.